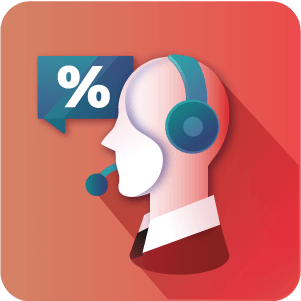 With sales representative management options like assigning reps to customer accounts or orders, this extension helps admin while creating a better customer experience. 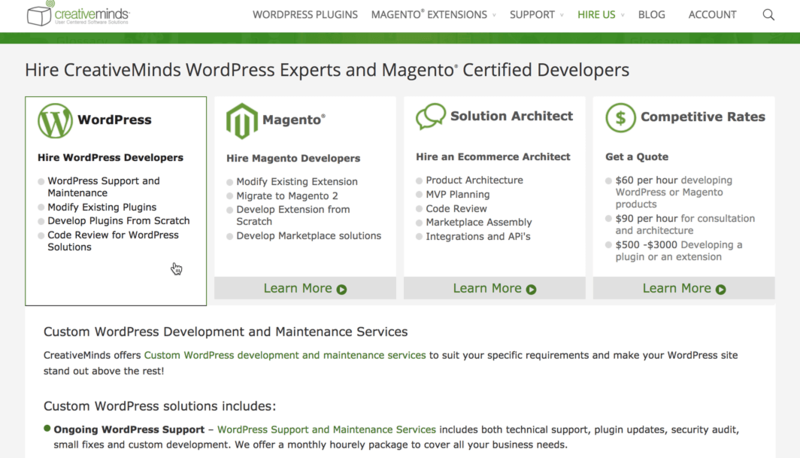 $149 for Deluxe edition on one live Magento® host and two test hosts. 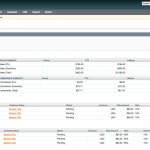 $99 for Pro on one live Magento® host and two test hosts. 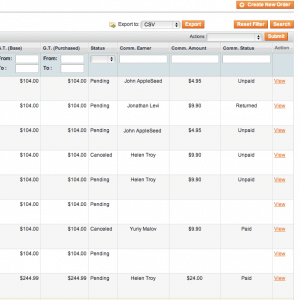 $249 for Deluxe edition on one live Magento® host and two test hosts. 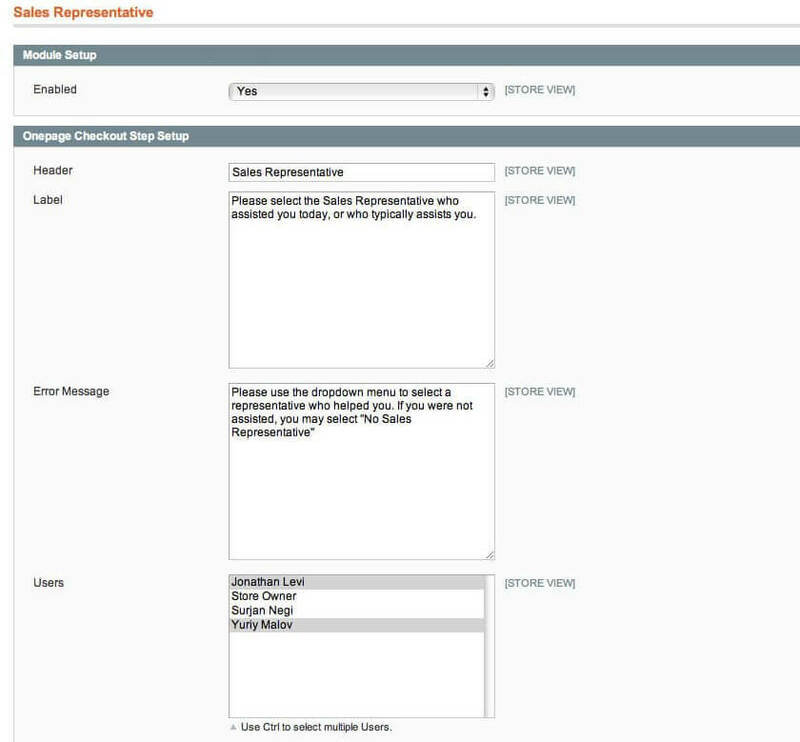 Does your Magento® store rely on multiple sales representatives? 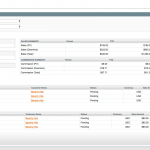 If so, you know it can be difficult to keep track of sales representative performance and commission owed to each. 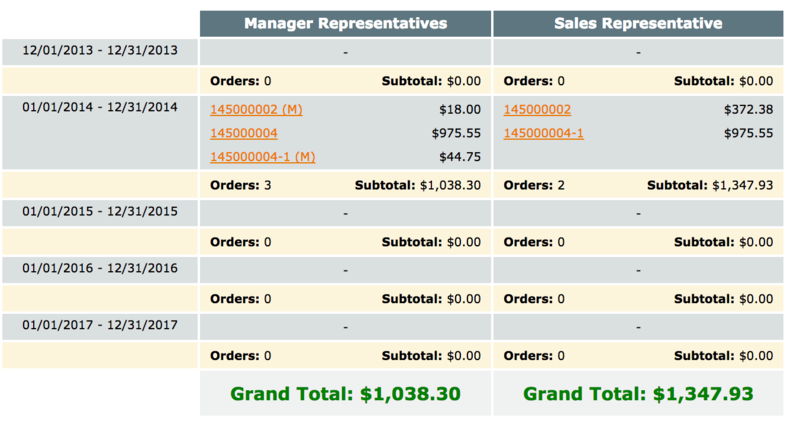 This sales report can then be used to make important decisions in managing your customer base, sales reps and dealers. 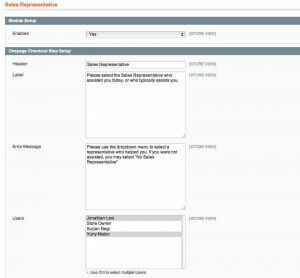 With this Magento Sales Rep extension, the admin can create custom checkout messages, allow customers to choose their sales representative, and automatically credit manual orders to a sales agent. 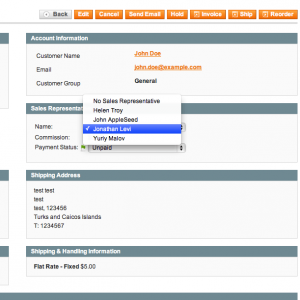 The admin can assign customers to sales reps for personalized, long-term service. 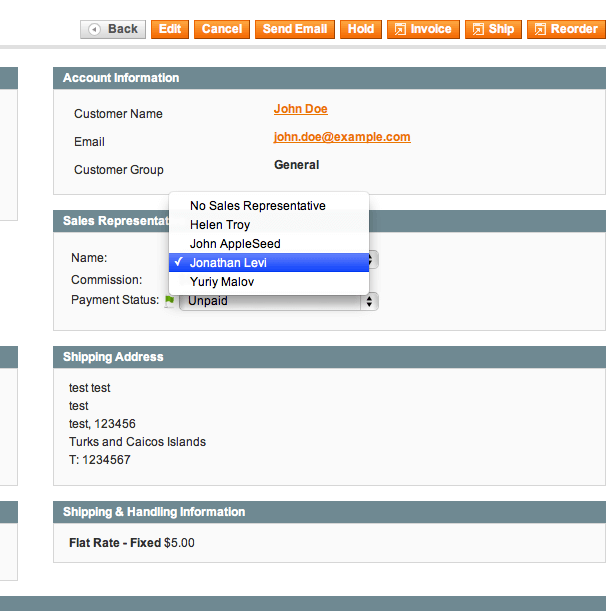 Each purchase from an assigned customer will automatically add a commission to the sales rep's account. 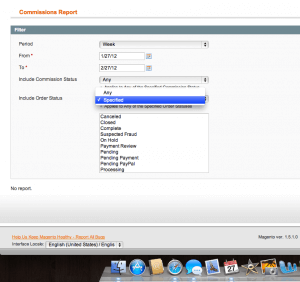 Our Magento® commission extension allows companies to manage individual sales reps and dealer commissions based on reseller performance while creating incentives for sellers to generate more sales. 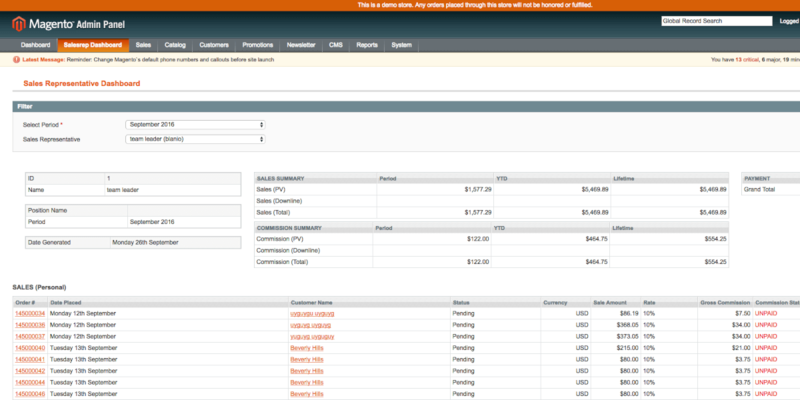 Add a new SalesRep Dashboard new to the admin panel where sales representatives can view their monthly orders and commission earned. 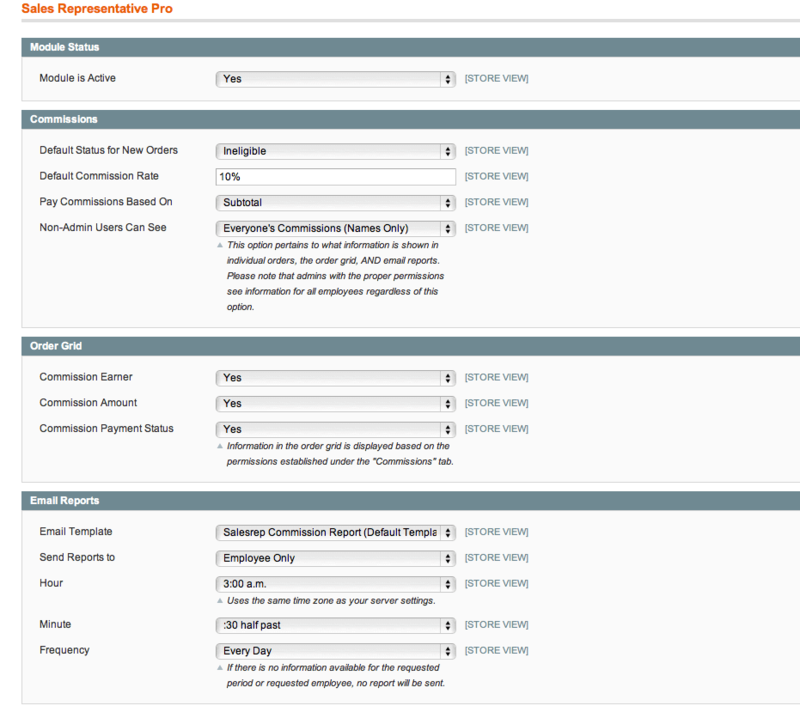 Add sub-users to your Magento® account and grant specific roles to your sub account users. 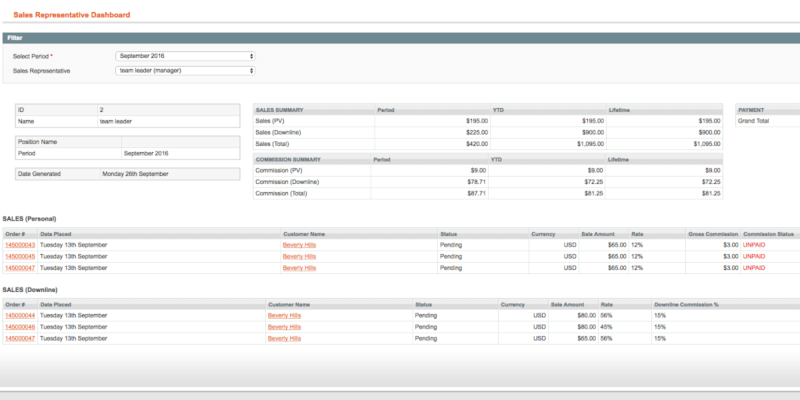 The Pro and Deluxe extensions have different options for managing sales reps and dealer commission. 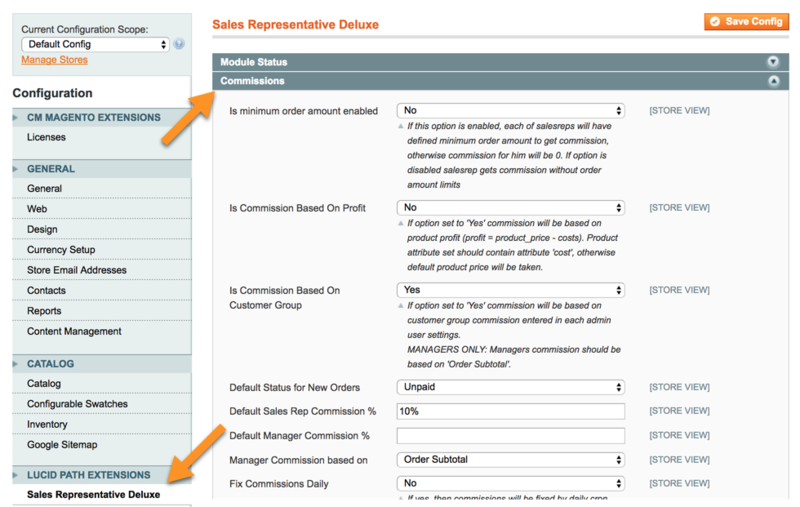 The Deluxe Sales Rep Extension includes more options to customize commission tracking and advanced sales rep management abilities. 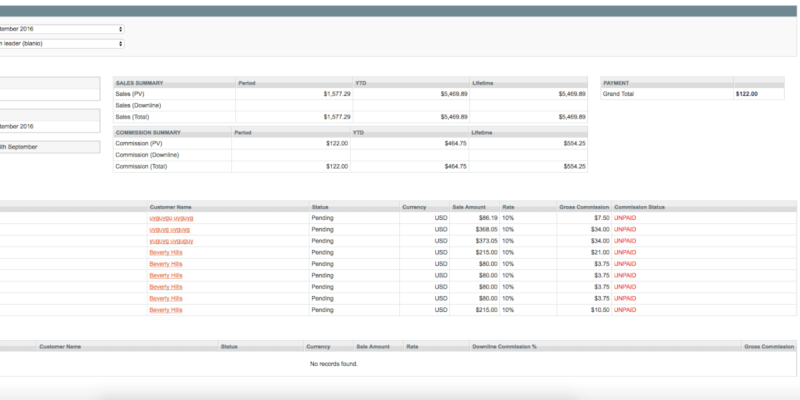 The all-new commissions report is configurable by time period, payment status, and more, allowing you to gain complete control over your data. 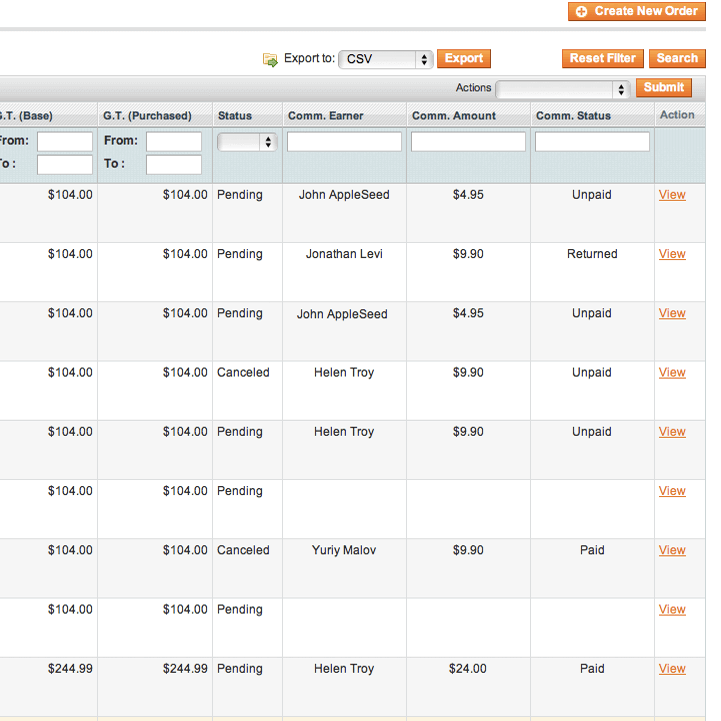 You can even change payment statuses in bulk! I dont see the specific feature I am interested in. Can you build it for me? How much will it cost? Chances are that we can. Some features are a bit complicated, others are simple customizations that only take a few hours of labor. Our hourly rate is $50. 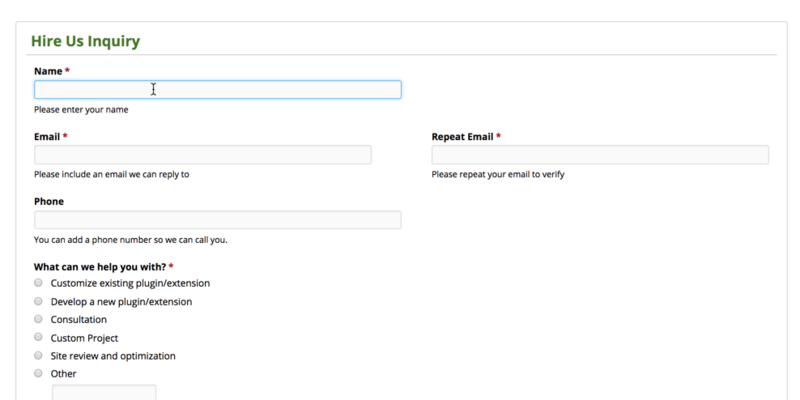 To get a quote, submit a support ticket. 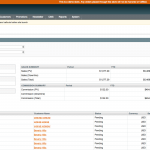 Does the module work with Magento Enterprise Edition? It does, however it requires a custom installation to function properly. Contact us for a quote. Does the module work with one page checkout? Yes. 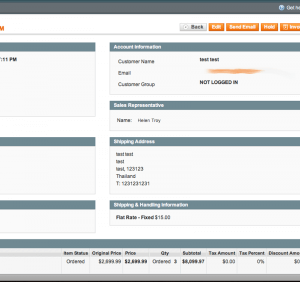 It’s easy to run the module with one step checkout. Simply copy/paste the code that has been injected into your checkout page into the one step checkout page. Because it’s an aftermarket module and not present on all the stores we work with, it is impossible for us to integrate it into the package files. As such each store owner will have to do this manually if they use one step checkout. 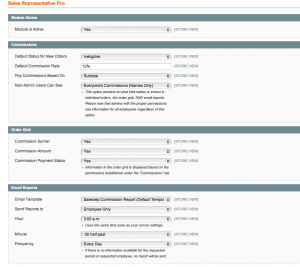 How does the manager or tiered commission function works on Deluxe? 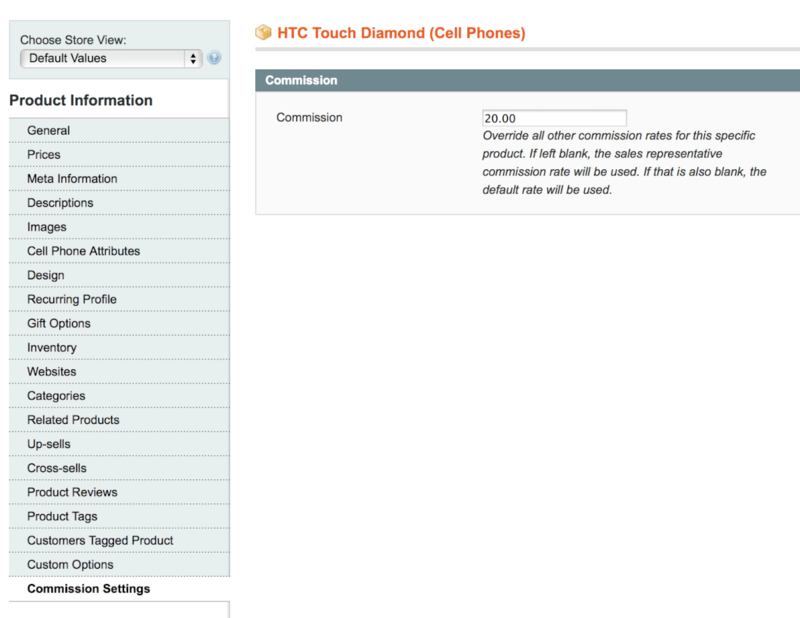 Our deluxe edition allows you to specify two different commission rates for each employee. 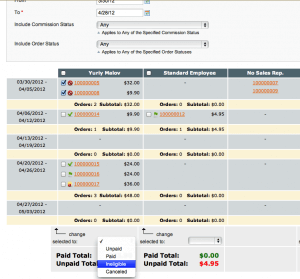 One commission rate is applied to orders the employee enters them self. 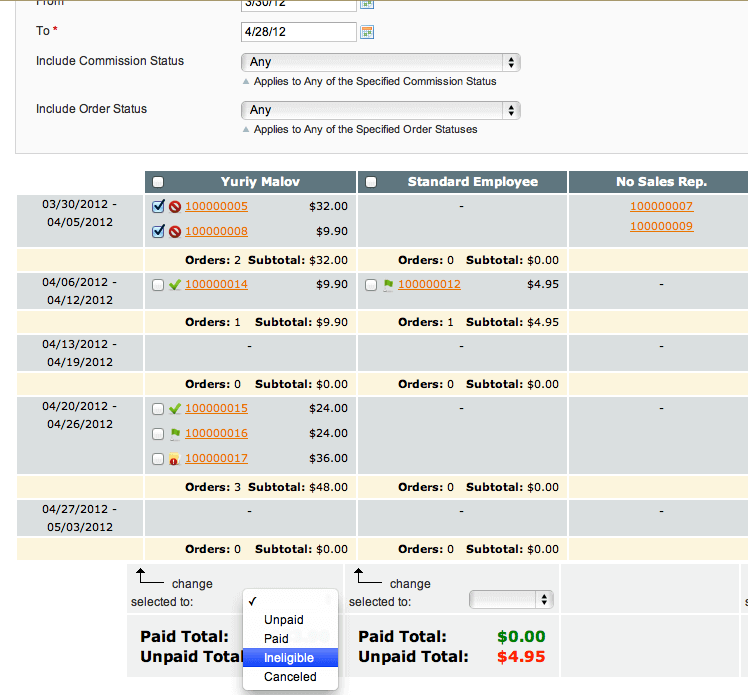 Another rate is applied to orders entered by that employee’s team. 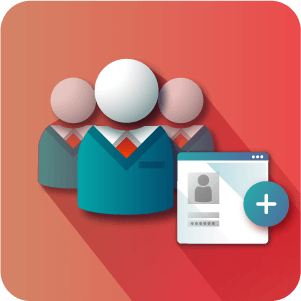 You can assign a manager to each team member, or select “No Manager,” and all appropriate commissions will be calculated. Please note that the manager’s commission is on top of the employee’s commission, which means it does not affect nor is it affected by the employee’s commission. 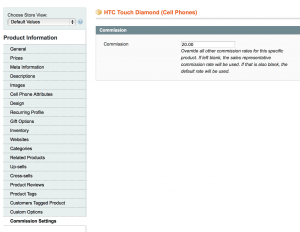 To learn more about configuring commissions see this Help Article. 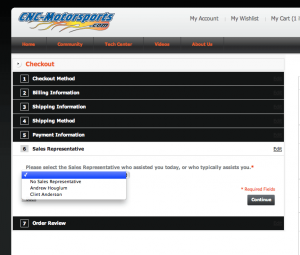 Do I have to show a drop-down selector at checkout? Can I only show certain reps? Of course not! You can choose to hide it in the module settings. 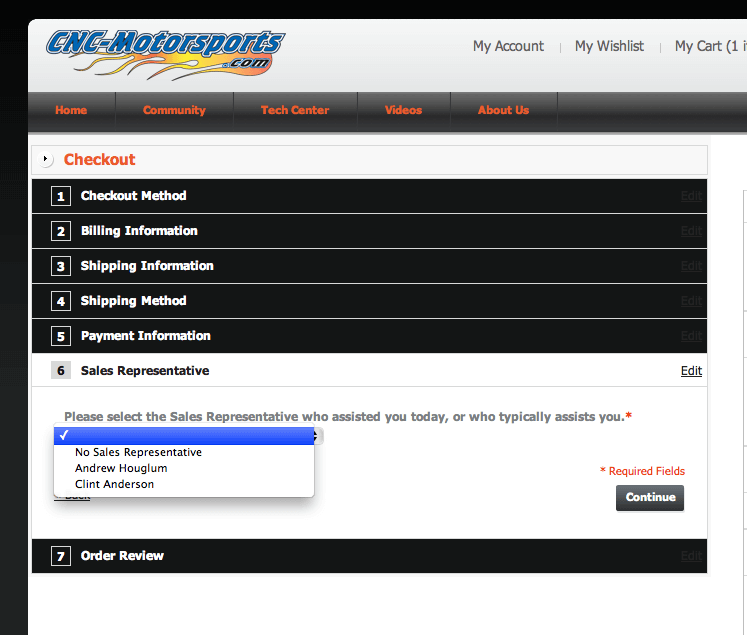 You can also select which reps show at checkout (if any). 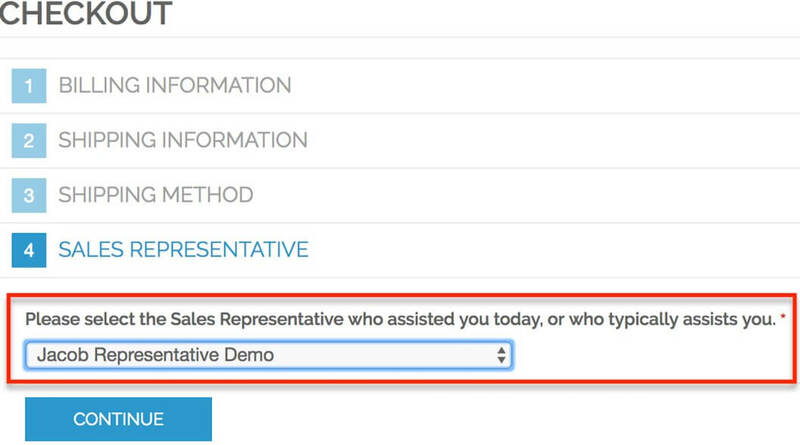 Learn more about the Checkout Settings for the Sales Rep Commission Manager extension in this Help Article. 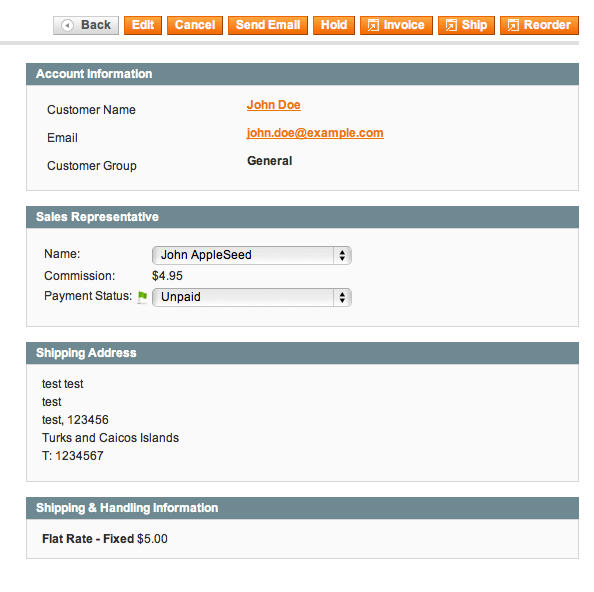 Does commission calculation include shipping and tax? That’s up to you. 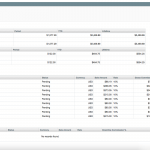 Our module allows you to calculate commissions based on Subtotal or Grand Total, based on the settings you select. What do you mean by 'Assign Customers to Sales Rep Semi-Permanently' in the Deluxe edition? 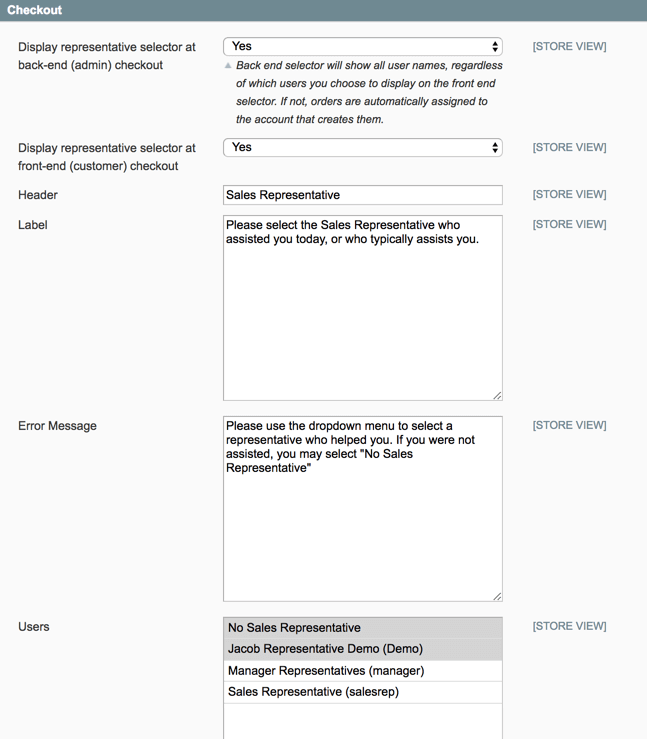 If you assign a sales rep to a customer, it will remain assigned until someone with admin privileges changes the assigned rep. If they do so, the old orders will not be changed, but all future ones will. 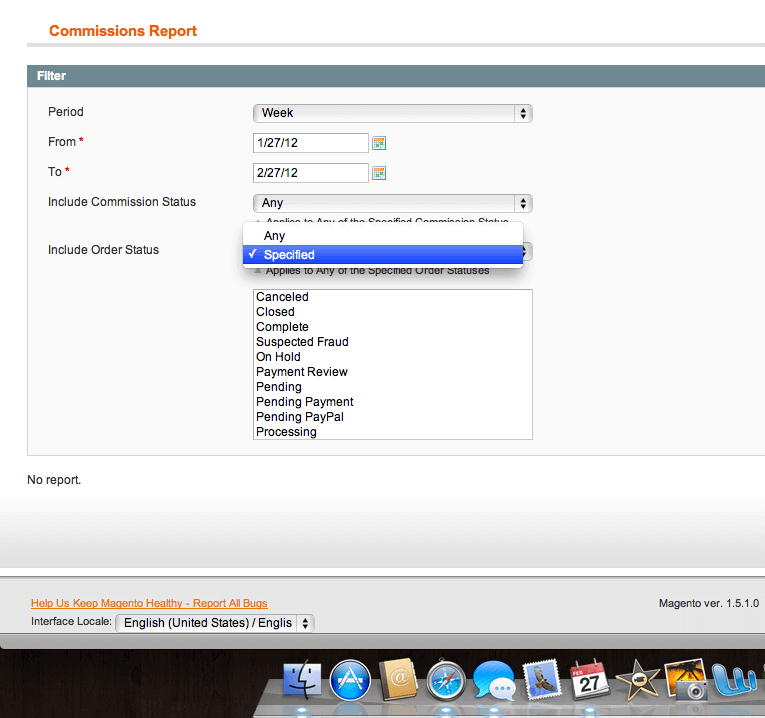 Can I define a minimum amount that must be spent on an order before the Sales rep will receive commission? 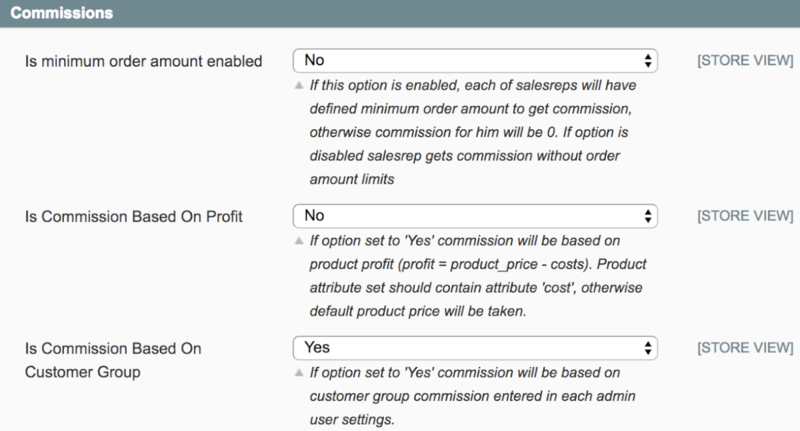 Can I set commission based on customer groups? Yes. 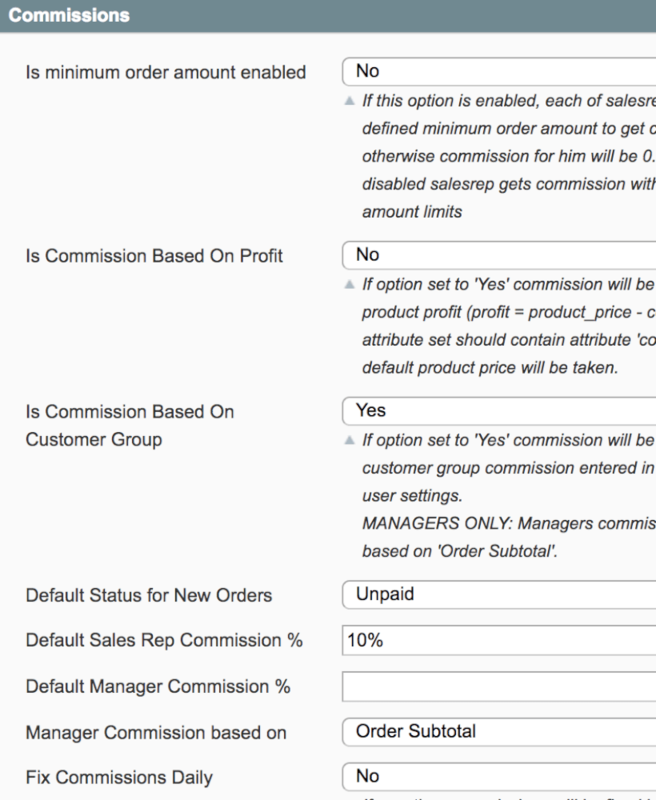 The site administrator can the define commission based on customer groups instead of for each sales rep see the extension’s User Guide to learn more. These guys know what they are doing. It has an amazing amount of features that I didn’t even expect. I had a small issue and they responded to my email within minutes. Great support!! I will be back to get the newest extension they are releasing soon. Thanks again!! Additionally I’m very happy with the support! 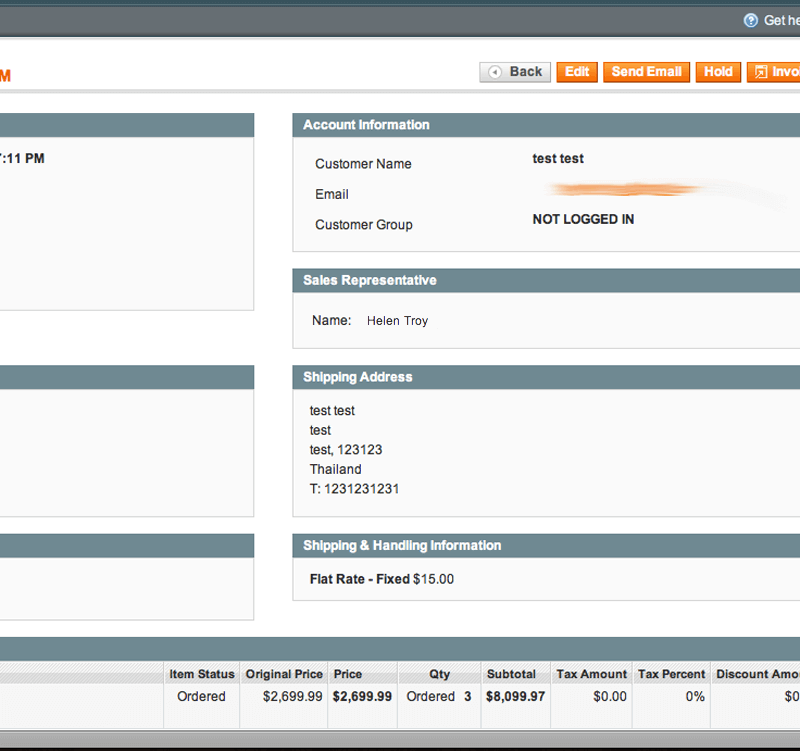 I needed the commissions to be calculated, not on the subtotal or the grand total, but on the discounted total before shipping & taxes and they added that functionality within minutes! 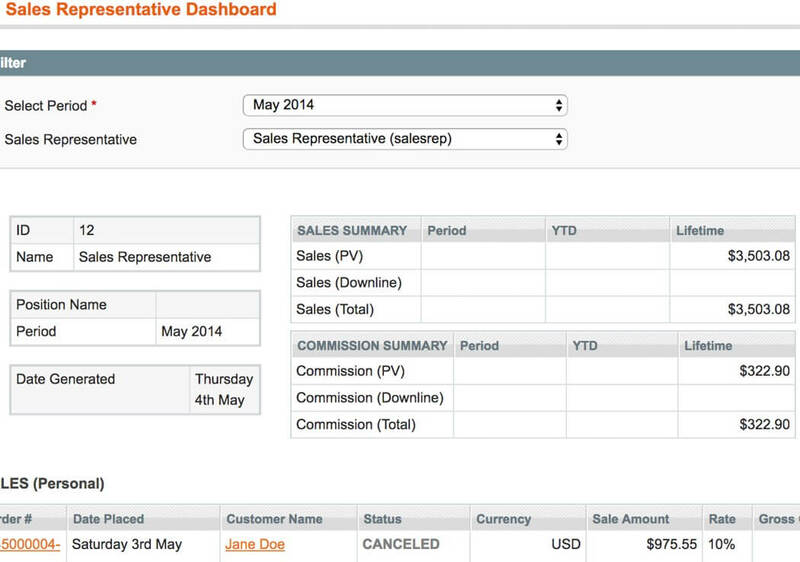 I would like to recommend this plugin to anyone that is looking for a sales commission system within magento. We run a marketing company that helps clients incorporate different technologies to improve their internal and external business processes. I emailed Jonathan regarding his plugin and some modifications I may need and he replied immediately. 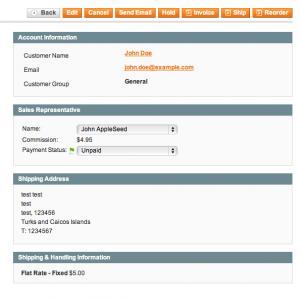 They also quoted us a price on incorporating a separate plugin we are using with this plugin. 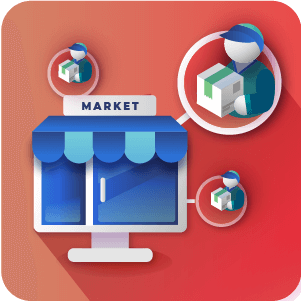 Product works as described, customer service is superb and company is awesome when contacted. Thank You! Works as intended and keeps track of all commissions. 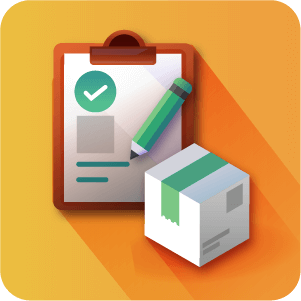 The only thing I would like to see changed/added in the future is support to exclude items from the commission, such as assembly and delivery charges that our company does not pay commission on. 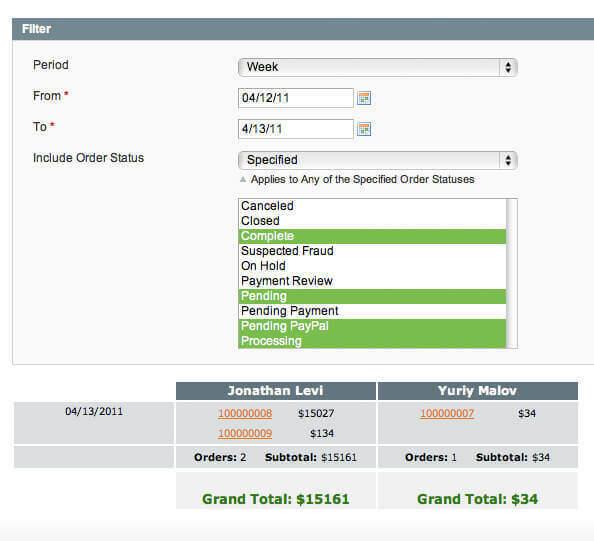 On those particular orders, we have to calculate commissions manually. Other than that small change, this module works very well for us. 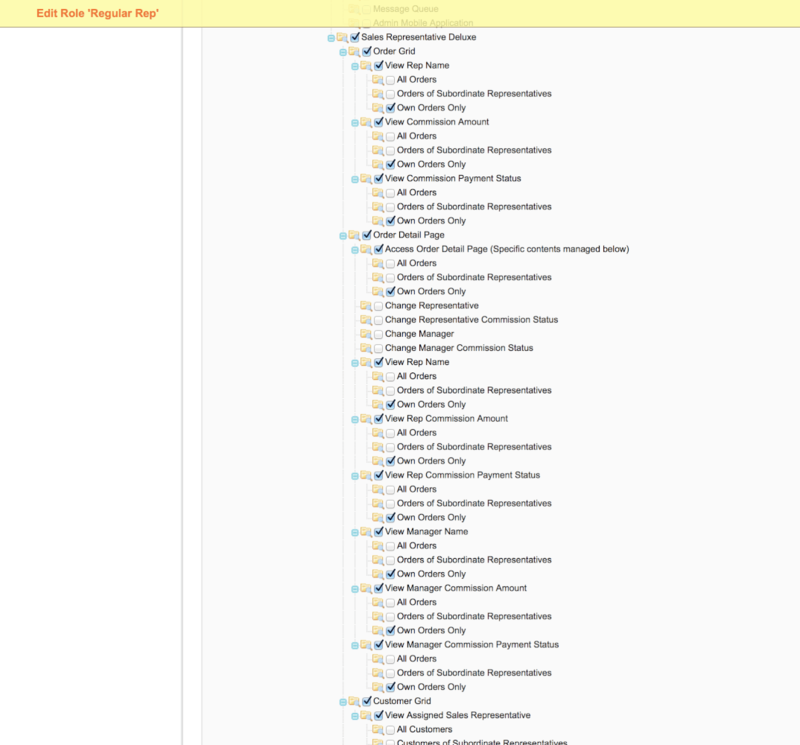 Thanks very much , worked as expected , and I got a fast response from the developer when I asked him by email. This extension is really good, easy to install , i have 1.8 & worked exactly as described :) only thing i am wondering about is that it did not work on One page check out , it worked with regular Magento® check out page ( where too many steps before paying) i am trying to figure out what went wrong when enabling this option & keeping this extension working. but all in all…i would recommend this . 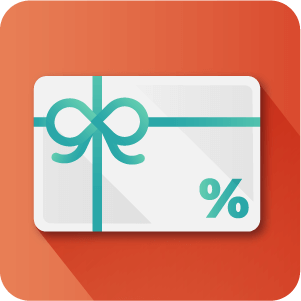 June 12th, 2017 (1.6.6) – Deluxe: added functionality to add minimum order amount to apply commission. 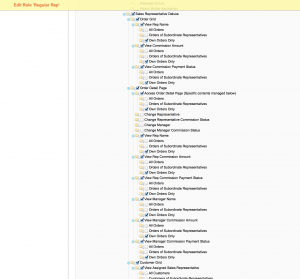 Dec 14th, 2016 (1.6.4) – Deluxe: – Refactored code and fixed ACL for admin. 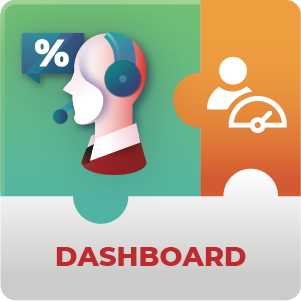 Oct 24th, 2016 (1.6.3) – Deluxe: – added translation file, added functionality to calculate commission based on product profit, added functionality to calculate commission based on customer group. Sep 21st, 2016 (1.6.2) – Deluxe: Added functionality to exclude items from commission.